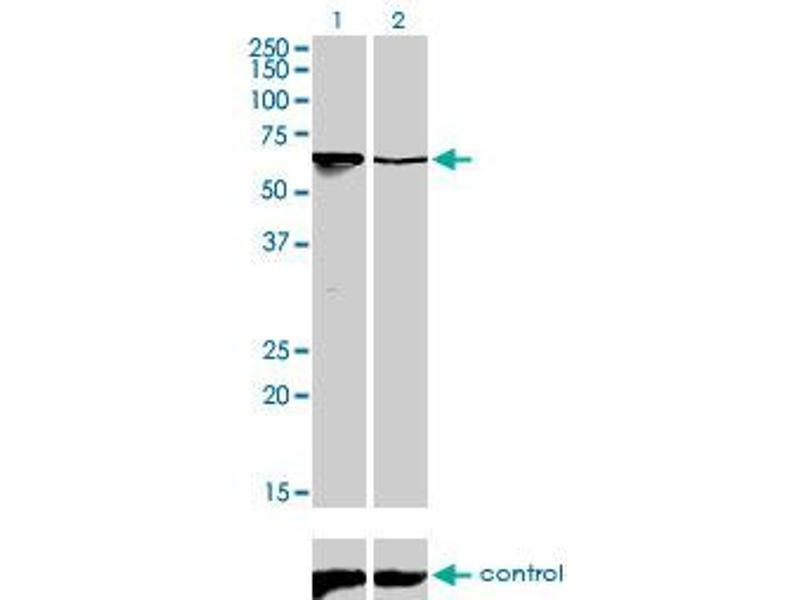 ARID3A monoclonal antibody (M01), clone 1A11 Western Blot analysis of ARID3A expression in K-562 . 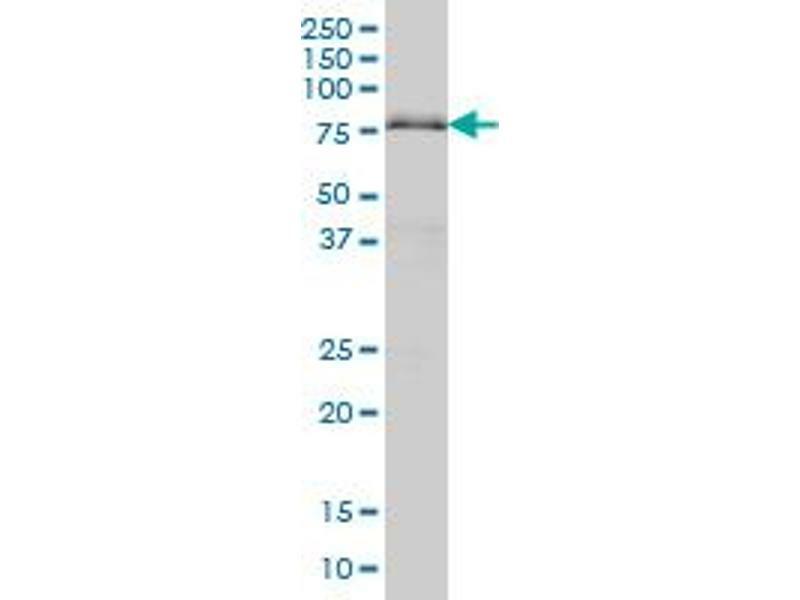 Western blot analysis of ARID3A over-expressed 293 cell line, cotransfected with ARID3A Validated Chimera RNAi (Lane 2) or non-transfected control (Lane 1). 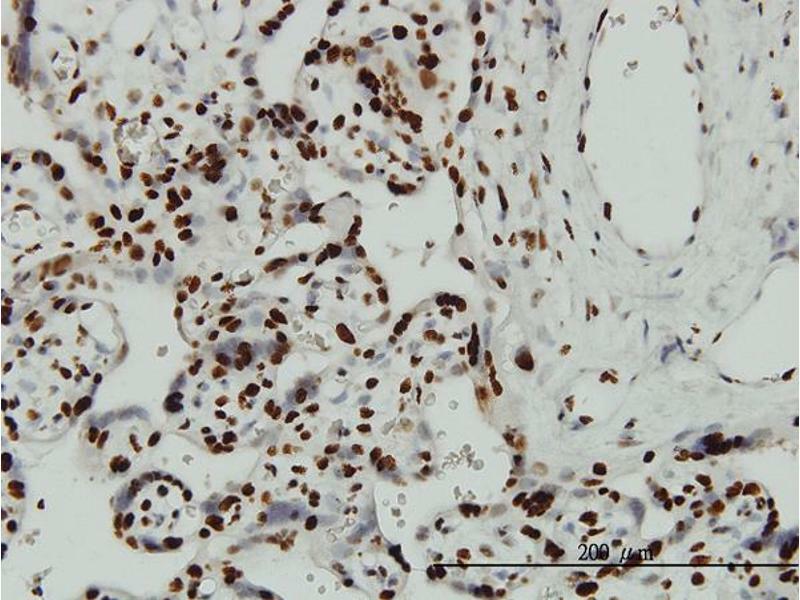 Blot probed with ARID3A monoclonal antibody (M01), clone 1A11. 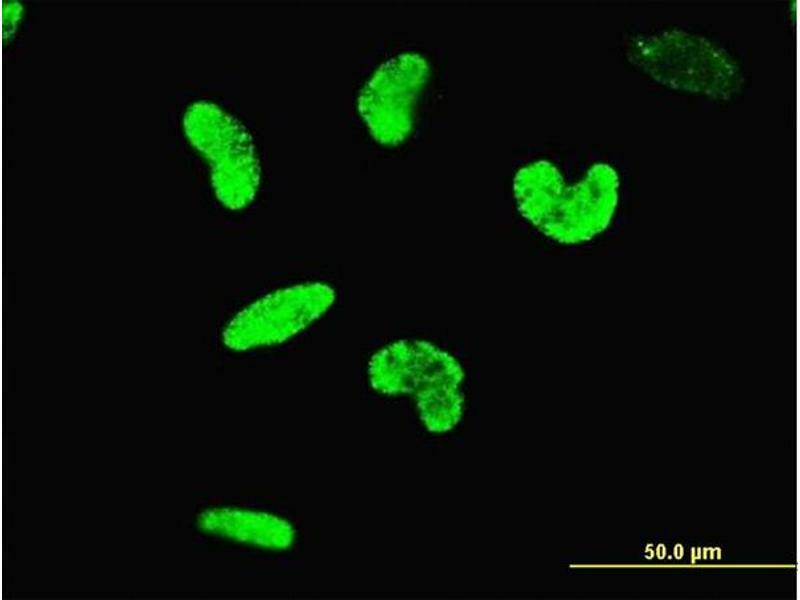 GAPDH ( 36.1 kDa ) used as specificity and loading control. 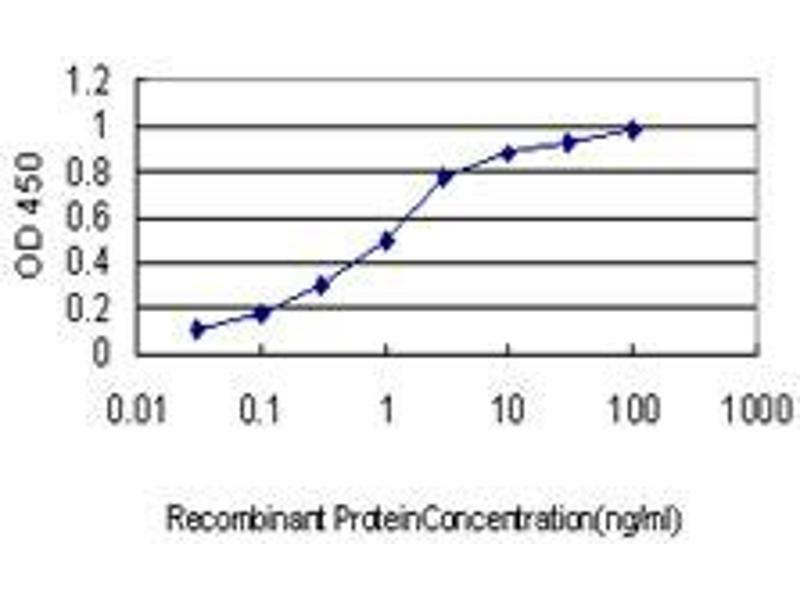 Detection limit for recombinant GST tagged ARID3A is approximately 0.03ng/ml as a capture antibody. 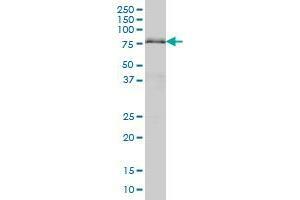 Western Blot detection against Immunogen (36.74 KDa) . 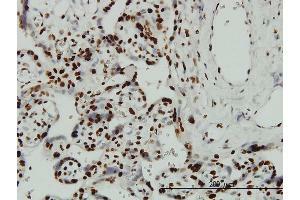 Immunogène ARID3A (NP_005215, 317 a.a. ~ 416 a.a) partial recombinant protein with GST tag. MW of the GST tag alone is 26 KDa. Stockage commentaire Store at -20 °C or lower. 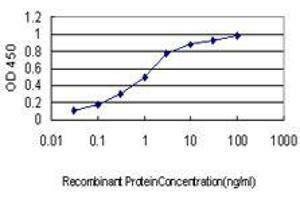 Aliquot to avoid repeated freezing and thawing.